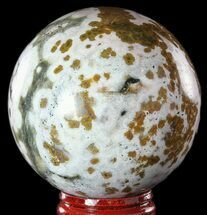 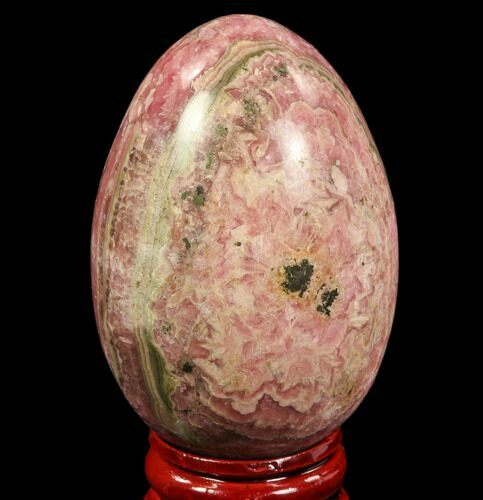 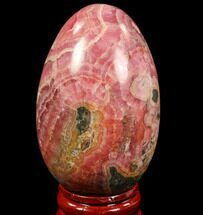 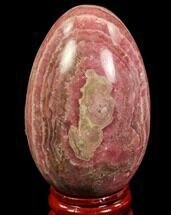 This is a unique, hand-polished Rhodochrosite egg. 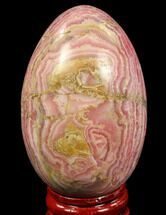 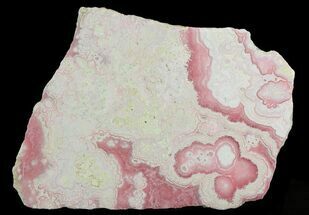 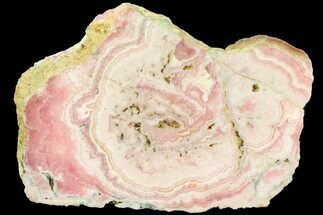 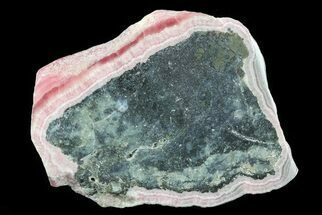 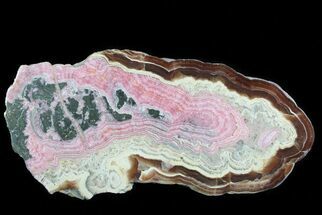 The Rhodochrosite comes from the famous Santa Rita Mine in Argentina and exhibits beautiful pink banding. 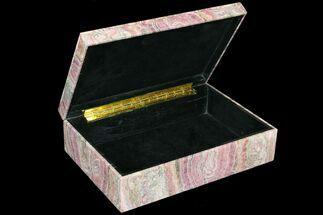 It comes with a small display base.